Back in the 1980s, Nissan attached the name Pulsar NX to an unusual compact coupe that could be converted into a hatchback with removable panels. Now, Nissan is using the Pulsar name for a car that's a little less unconventional. The new Nissan Pulsar is a compact hatchback intended to steal sales from the Volkswagen Golf--but as of now, it won't be offered in North America. Available only as a five-door hatchback, the Pulsar was designed for the European market and will launch with one gasoline and one diesel engine option. 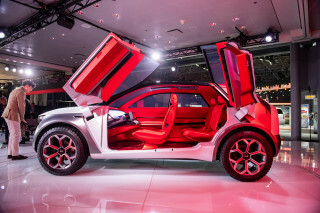 The gasoline option is a 1.2-liter turbocharged four-cylinder engine that produces 115 horsepower and 140 pound-feet of torque, and features a start-stop function. Equipped with the standard six-speed manual transmission, the 1.2-liter four will return 45.2 mpg (56.5 miles per Imperial gallon) on the European combined testing cycle--which is more optimistic than the U.S. EPA cycle. Nissan will also offer an Xtronic continuously-variable transmission (CVT) with this engine beginning in November. Fuel-economy figures haven't been released yet for that version. The other Pulsar engine option is a 1.5-liter turbodiesel four-cylinder, which produces 110 hp and 191 lb-ft of torque. Like the gasoline engine, it features start-stop. DON'T MISS: 2017 Nissan Leaf Renderings: How Conservative Will Design Be? The six-speed manual is the sole transmission option for the diesel, and that combination can deliver 62.8 mpg (78.5 miles per Imperial gallon) on the European combined cycle, Nissan says. Inside and out, the Pulsar resembles many other current Nissans, and it will be offered with many of the same technology options. Highlights include the Around View Monitor--which gives the driver a 360-degree view around the car--as well as features like blind-spot monitoring and lane-departure warning, which are bundled into the Nissan Safety Shield suite. 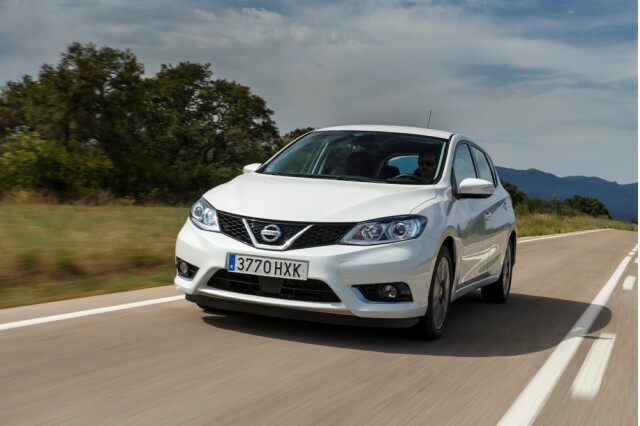 The Nissan Pulsar will be built at the carmaker's Barcelona plant, and will be offered in four trim levels starting at roughly $26,000 (including all taxes) at current exchange rates. With the exception of its Versa Note subcompact hatchback, Nisan's small car offerings in the U.S. have largely been sedans. It recently withdrew its Cube tall wagon, whose sales remained consistently low.